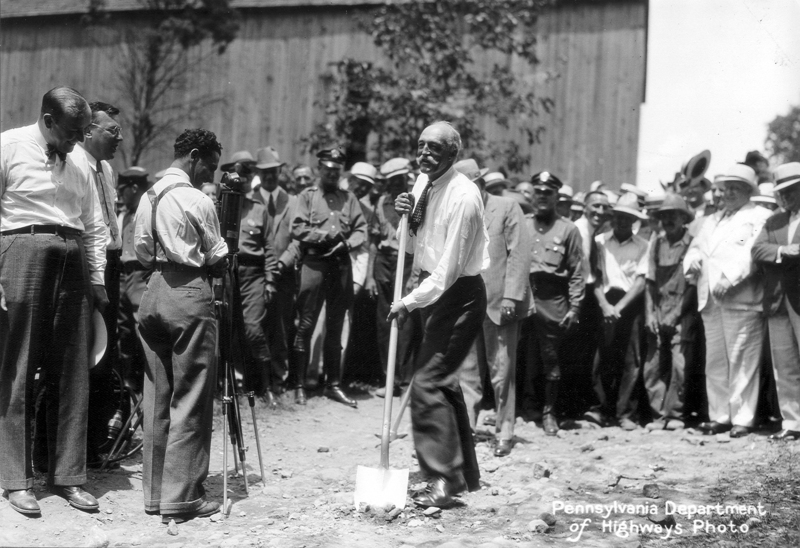 Governor Gifford Pinchot breaking ground on one of his "farm to market roads," 1931. In one of his first acts after becoming governor in 1931, Gifford Pinchot proposed that the state take control of more than 20,000 miles of township roads that it would transform into a planned and orderly system. Pinchot's road improvement program became Pennsylvania's first state-funded work relief program and provided jobs for thousands of unemployed workers.